Almost 40 years ago the Pioneer 10 spacecraft was launched into space to do a fly-by study of Jupiter. 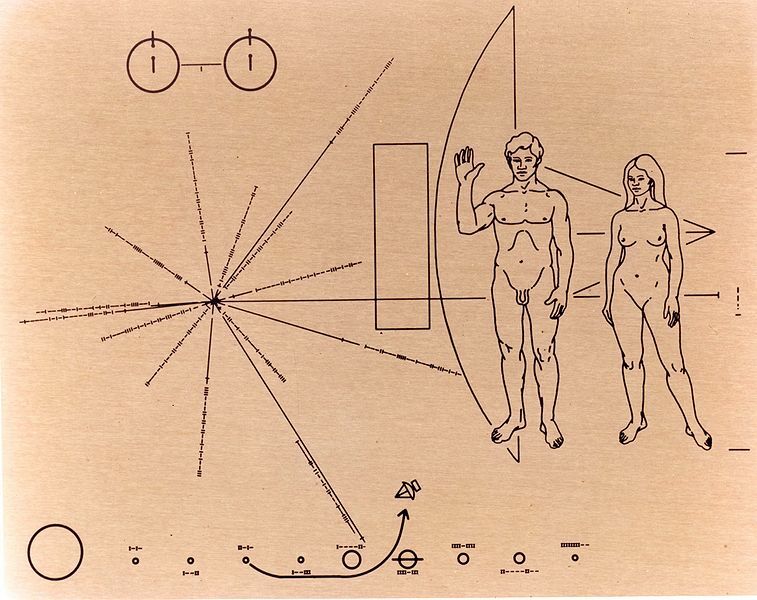 In addition to a bunch of science gear, Pioneer 10 had a gold-anodized aluminum plaque designed by Carl Sagan on board with some (arguably cryptic) symbols on them. If it happens to be intercepted by extraterrestrial life, the hope is that this information will provide information on the origin of the spacecraft and the inhabitants of Earth (as long as the Klingons don’t destroy it first). 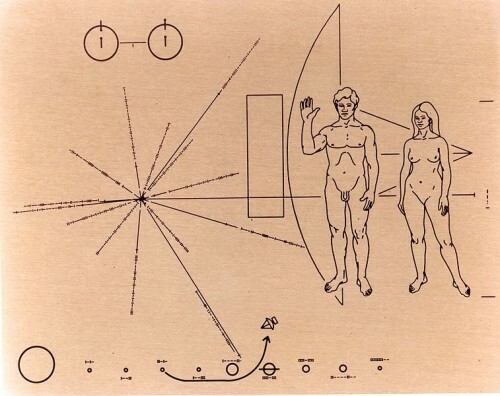 The symbols include a sketch of the solar system with the spacecraft’s planned trajectory, drawings of naked people anatomically correct representations of male and female humans, the relative position of the sun to several pulsars, and a representation of the hyperfine transition of hydrogen. We last heard from Pioneer 10 in 2003, but prior to that it was able to send back stunning photos of Jupiter on it’s trajectory out of the solar system. Anderson Fernandes sent me some pictures from a much closer location, Brazil. 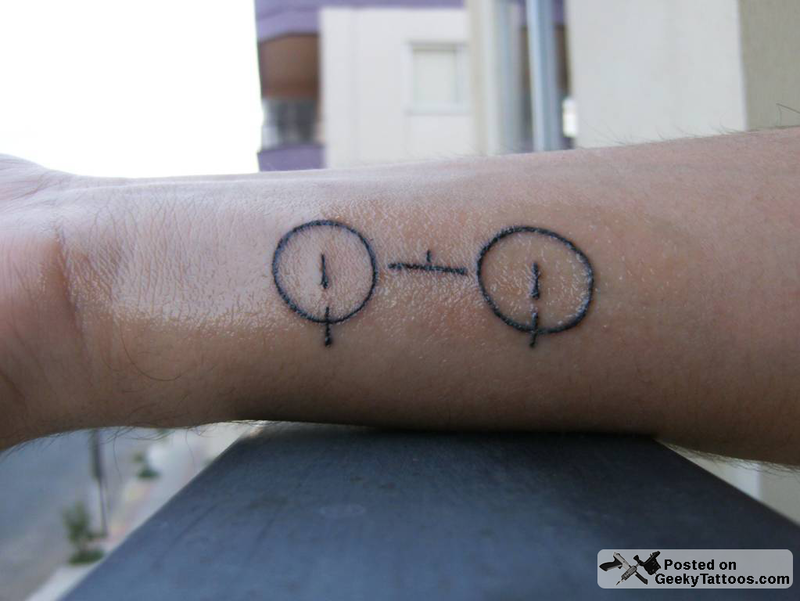 He’s working on a tattoo of the Pioneer 10 plaque on his arm. 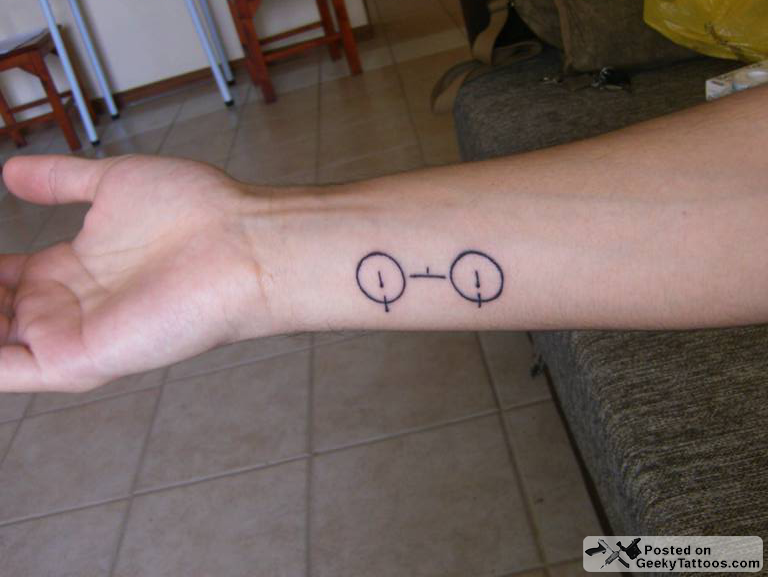 He’s gotten the hyperfine transition of hydrogen schematic, and is planning on the solar system representation next. I think it would be a shame to miss out on being 100% accurate and not get the naked people. Ed Note: This post has been sitting in my inbox for quite some time now. Every time I would sit down to write it, I’d get sucked into learning about all the spacecrafts we’ve shot into space and how they’re going thousands of miles an hour and are billions of miles away. Plus the controversy over the plaque, what it was intended to mean, etc. I highly recommend setting aside an hour to get lost in Wikipedia and all the related sites. 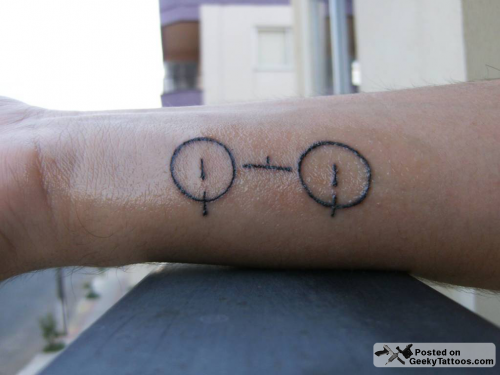 Tagged with hydrogen atoms, NASA, Pioneer 10.